I wrote about the summer low achieved by Arctic sea ice. He maligns me for saying the ice didn’t melt until winds pushed it away into warmer water. But I didn’t say it. NASA did. So now please kindly redirect all that rude, inaccurate mockery to the proper quarter. Renowden’s friend Rob Taylor, in comments below, cites one John Yackel in Science Daily. Yackel makes a couple of howlers. First, he contradicts NASA and insists on talking about the summer Arctic ice “melt”. Obviously he didn’t get NASA’s memo explaining about the storm that shifted the sea ice before it melted. Second, he asserts that, with the ice gone and the sea surface exposed to the air, “more moisture off the ocean’s surface” will “get into the atmosphere”, making for more violent storms. Remarkable. Here’s a geographer who doesn’t know that the amount of water vapour in the air depends on the temperature. I learnt that in high school but somehow he missed it at university. But he also apparently imagines that “the water vapor in the atmosphere makes for more violent storms” – it doesn’t need a higher temperature at all! Well, it’s a new concept, but I’m not sure how it works. Finally, I observe that Rob Taylor claims I’m wrong about something, but none of our friends from the dark side deny that Renowden disagrees with NASA. Renowden is wrong to call this record ice disappearance a “melt” and blame it on global warming and therefore on our considerable, unforgivable sins. Er, no. The report making that claim is dodgy. As a piece of scholarship it’s marked by a strong advocacy. According to Dara’s 2011 annual report, its total spending that year was €2.1 million. Arctic sea ice. Where the notion of “rolling hills” gains a whole new dimension. via NASA finally admits Arctic cyclone in August ‘broke up’ and ‘wreaked havoc’ on sea ice — Reuters reports Arctic storm played ‘key role’ in ice reduction | Climate Depot. NASA has announced that an Arctic storm played a ‘key role’ in a dramatic new summer minimum ice extent recorded in August. But what would it cost us? 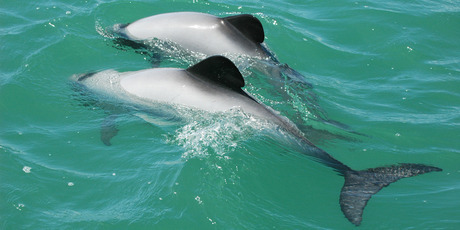 New Zealand has voted against further protection measures for Maui’s and Hector’s dolphins at the world’s largest conservation summit in Jeju, Korea. New Zealand was one of two countries to oppose further protection measures in a secret vote at the International Union for Conservation of Nature’s conference. A vote was held on New Zealand banning gill and trawl nets in waters up to 100 metres deep – 117 countries and 459 organisations voted for the move. New Zealand voted against, saying it was not backed by scientific evidence. via Watts Up With That?. WUWT asks: Forget to pay your bill, fellas? 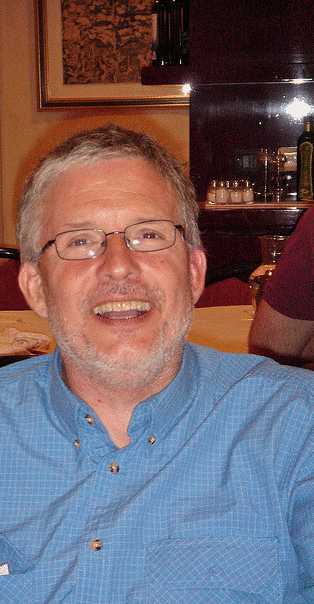 Jim Hoggan’s flagship propaganda outlet, releaser of the Gleick stolen files, Desmogblog.com – is D.O.A. Go to their site and you get an advertisement from their domain name registrar. Ralph, in a comment, advises that the site is up again. But when I visit there’s no real site there. Just plain-text climate links which lead to lists of plain-text advertisements. It’s not real. How was academia infected with the climate change madness? The September 12th column by Brian Rudman of the New Zealand Herald, “One small word, one giant setback for denial”, exemplifies how much of the climate debate has descended into a sort of murky underworld where logical fallacies, personal attacks and made up “facts” all too often replace rational discourse. While Herald editors are to be congratulated for allowing the publication of my letter to the editor correcting some of Rudman’s more obvious mistakes, his piece is worth analyzing as a sample of what other journalists must avoid if a civilized discussion about this vitally important topic is to be possible. To be a judge in New Zealand is to wield substantial power. Here we have evidence that judicial power can reverse the meaning of a word. Both the original statement of claim and the first amended statement of claim were prolix. The Herald has today editorialised its rancour against climate sceptics and repeated oft-heard unfounded criticisms (h/t – Andy). They make a couple of good points but so many blunders I’ve time for only a brief tour of them. Herald statements in green (emphasis added). A year ago, James Hansen, one of the world’s top climate scientists, conceded that climate sceptics were winning the argument with the public over global warming. This, he said, was occurring even as climate science itself was showing ever more clearly that the Earth was in increasing danger from rising temperatures. via King’s spokesman calls Key ‘culturally ignorant’ – NZ Herald News. Next thing you know, they’ll be calling Key a “denier”. Then all who oppose them. via Maori have always owned water – 3 News. Earlier today King Tuheitia told the national hui on the issue that Maori have always owned water. The big chiefs and the long-time activists were at Turangawaewae to discuss one issue – water – and looking for one thing – unity. So, King Tuheitia told the hui “we’ve always owned the water”; you’re quite sure that the hui didn’t tell him? Because I was under the firm impression that the purpose of a hui was to find the will of the people, not to announce it to them. Just one question: why do Maoris say they own the water, when no other race on Earth believes that they do? Do they know what water is? Water is very large. There is so much of it that you cannot even hold it all in your possession, so you cannot defend it. We all know you did not create it, because all of it was here before you were born. Every atom of it will be here after you die, so we’ll get it all back then anyway, however you manage to bully us over it while you’re here. We’d prefer you went home and stopped making a noise about it. Earn your money as we all do – by hard work, intelligence and perseverance. That will make you happy. But keep your hands off our water. In November 2009, about a week before the international climate change conference in Copenhagen, the CCG and the NZCSC (the Coalition) released a paper we’d been working on for some time — “Are we feeling warmer yet?” (AWFWY). There are no reasons for any large corrections. 1. The paper finds no reasons to make large corrections, but it should. 2. The paper makes no corrections, but it should. Professor de Freitas from time to time advises the NZ Climate Science Coalition, but he does not speak for it. Nevertheless, this op-ed in today’s Herald gives such a clear view of the issues touching our court case that it deserves a hearing here. — by Chris de Freitas, Associate Professor, School of Environment, University of Auckland. One assumes scientific analysis is objective, so it may come as a surprise that this was challenged in a New Zealand High Court case, the results of which were released last week. It was a great disappointment that Justice Venning was not prepared to declare NIWA’s data adjustments to be a breach of the Crown Research Institutes Act 1992. On the law, the Judge found that any review should be “tolerant” and “cautious” because NIWA was “a specialist body acting within its own sphere of expertise.” He declined to rule on the disputed science – while tending to favour the 92-page opinion evidence provided by NIWA’s Dr Wratt (which was not subject to cross-examination). The court decision has been welcomed by the expected opponents, such as Renwick (who manages to fabricate our statements even when we write them down and file them with the High Court), NIWA (whose publicity, er, I mean legal team made mincemeat out of logic and science) and Hot Topic (but then Renowden wouldn’t know a climate scientist from an astrophysicist). Now they’re joined by doctors eager to fight climate change, in Doctors Welcome Decision On Treacherous Temperature Case. A group of leading New Zealand climate scientists (listed below) welcomed Justice Geoffrey Venning’s ruling to throw out the claim by the New Zealand Climate Science Education Trust (CSET, a small group of climate change “sceptics”) that NIWA had acted fraudulently in putting together its ‘7-station’ temperature series. But the Trust did not claim fraud in its Statement of Claim to the High Court, which nowhere uses any derivative of the word fraud. The Coalition never accused NIWA of fraud and these scientists cannot justify their claim that it did. This fictitious accusation against members of the NZ Climate Science Coalition and its Trust might have added to the excitement of the press release, but the stimulus came at the expense of the truth. To people accustomed to hearing ad hominem remarks of the worst kind, accusing climate sceptics of alleging fraud is perhaps of no great concern, but to those devoted to the even-handed, practical pursuit of truth this accusation is deeply distressing. It must be withdrawn and Dr Renwick must apologise. They need to man up and admit their mistake, apologise and withdraw the press statement. Would proper scientists expect anything less of others? Mr Justice Venning has released his judgement in the case between the NZ Climate Science Education Trust (NZCSET) and NIWA. All three of NZCSET’s requests to the Court were declined. Costs were awarded to NIWA. I’ll have more to say when I’ve read the judgement in full. In the meantime, Scoop has a story with a number of links. Scientific analysis and discussion is carried out through the peer-reviewed literature. The basic science of climate change (global warming) has been established for well over a century, and almost all scientists active in climate research agree that human activity is causing the climate to change. For a small group of scientists to appeal to a court of law to find otherwise is bizarre. I have evidence, having corresponded with him, that James can read, but did he read what was clearly stated in the judgement? The facts are that our three causes of action concerned the New Zealand temperature record, not any global record, and we discussed only the New Zealand climate, not the global climate. We never discussed the causes, magnitude or future course of global warming. In repeating this lie about what we said he makes it well-nigh impossible for even a well-informed member of the public to assemble anything but a wrong-headed view of our actual intentions. In doing so Professor Renwick corrupts his position of influence. Jo Nova comments on the decision. Should I liken him to the Prince of Thieves? Is it seemly for a senior establishment figure to earn an income from the cause he espouses for its worth to humanity? Oh, wait… they’ve been doing that for hundreds of years. Anyway, for the record, Al Gore will be in Auckland for an expensive, exclusive dinner and speech on Friday, 12th October 2012. I haven’t had time to research this but I still want to give it some exposure since it’s happening in New Zealand. Australis tells us in comments where to contribute a submission. We need a new post. Anything, really, so long as it’s in line with the “lunatic” theme expressed above. Some topic that’s on your minds, that you’re eager to discuss and either give of your own understanding or learn more of. The topical theme is Lewandowsky, though he’s being well dealt with at WUWT, Jo Nova, Bishop Hill and the Australian Climate thingie. I will shortly ask for donations towards publicity for Lord Monckton’s tour next year, which looks to be about February March, but we’re waiting for the Australians first to confirm their dates. I’m wondering whether we see correlation between our emissions, CO2 levels and global warming and I’ve started looking at graphs and taking notes. Someone else might have done this and I’m just late to the party. But it would seem to be a simple thing for the man in the street to understand and would surely debunk the nonsense. Another subject is the rather trivial emphasis on changing our light bulbs as figures seem to suggest there’s little point to it because it won’t show up in the temperature readings, ever. Of course, there’s also the thin skin effect that keeps the ocean so horribly hot. Who can convincingly describe that? So this is the new post. I have just asked you for access to the data underpinning your latest paper “An Anatomy of the Motivated Rejection of Science” and received an auto-reply to my email because apparently you are travelling for a week or so. Note that although I endeavour to keep all email correspondence private and confidential, this does not apply to messages that are of an abusive nature. Ah, the insight of these cretins, to integrate outrageously diverse concepts into the essence of hogwash. Reading through this paper identifies extra drivel but it’s an unsatisfactory reward for labour because I just don’t want to find drivel in a scientific paper. Such a paper lets everyone down. Take a look through this mindless vacuity presented (with the unforgiveable connivance of the publishers of Psychological Science) as scholastic acumen. Are 1800 Kapiti homes really threatened by sea level rise? Seemingly sloppy science seems to have sullied our coastal planning process. Dr de Lange describes, in the polite, scholarly way of his, a scientific blunder in a Kapiti Coast erosion report that anyone less courteous than him would call a dereliction or worse. Why? Because the wrong formula was used to calculate the amount of foreshore vulnerable to damage from sea level rise, and many hundreds of properties are now apparently at risk. The report explains correctly why a certain formula should not be used, but then, in a stupefying about-turn, goes ahead and uses it anyway. Prices for those properties will plunge, yet the new risks just aren’t justified. Recent news stories have highlighted the redefinition of coastal hazard zones along the Kapiti Coast. 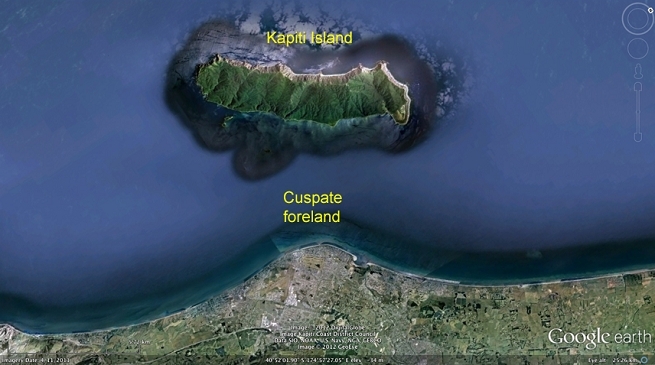 The populated region is concentrated on a coastal landform known as a cuspate foreland, which has formed due to enhanced accretion of sediment in the lee of Kapiti Island over the last 7500 years. Examination of the coastal landforms in this region indicates that there has been long-term accretion over the Holocene disrupted by storm-induced erosion associated with large waves from either the southwest or northwest. Remember that name. Lewandosky will soon become a byword for rejection of science. Part of the mighty West Antarctic Ice Sheet, pinned to the continent by a series of mountains along the sheet’s ocean boundary. With an area of 2 million square km, it’s the size of Texas, 2.2 million cubic km, up to 14 km thick, weighs 1870 trillion tonnes and it’s crushing the crust of the Earth a full kilometre into the raw, molten mantle. This puppy’s going nowhere fast. Melt it? Hah. 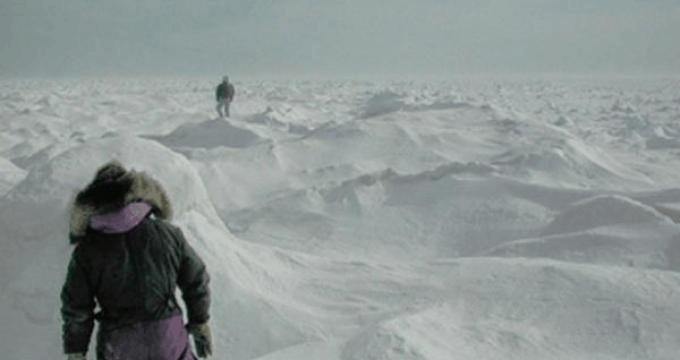 We could chuck our spare nuclear weapons at it and the ice would survive – though it’d make just the “coolest” firestorm. A five-year study just published says methane hydrates buried under kilometres of Antarctic ice and sediment could accelerate global warming if released into the atmosphere. This has given the warmists much grist for their mills of alarm. The paper, Potential methane reservoirs beneath Antarctica, published on 30 August as a letter in Nature, is behind a paywall, so I’ve only seen the abstract and Supplementary Information (pdf).